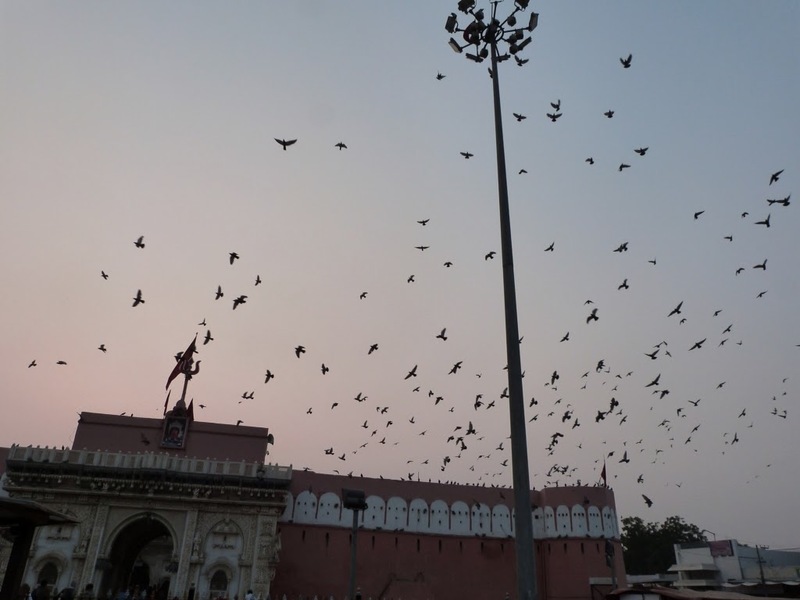 A trip to India isn't really complete without encountering the country in celebration mode at one of the countless festivals that litter the calendar year. 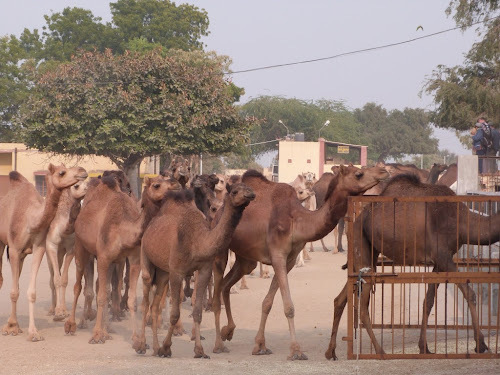 We weren't lucky enough to coincide with the famous paint throwing of Holi or the worldwide festival of light Diwali yet conveniently our next destination, a busy market hub in Northern Rajasthan called Bikaner, was preparing for its annual Camel Festival. 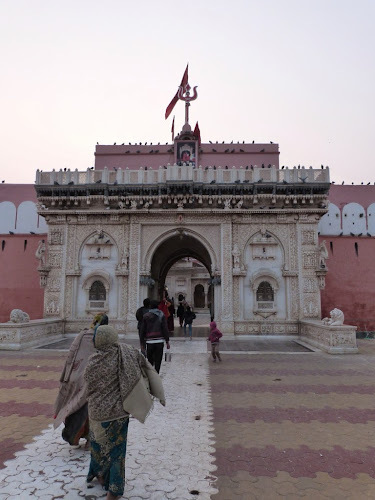 The fairly ugly town, filthy even by Indian standards, was only ever going to be a short stop en route between Shekhawati and the Thar. 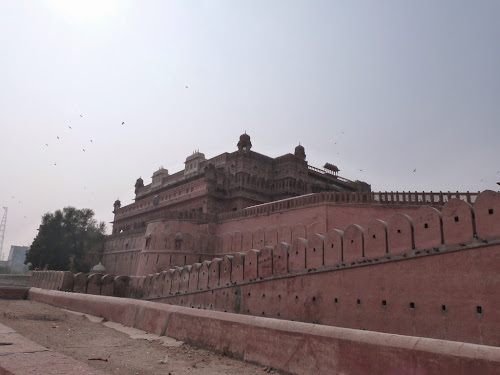 The convenient timing meant Bikaner ended up giving us one of the most memorable, if not always in the best way, experiences of India at its most bonkers. To get to Bikaner from Nawalgarh we caught the only direct bus that was at first absolutely heaving but after about 3 hours eased up and we had plenty of room to stretch out for the final half of the journey. This blog is split in to 3 as we had done so much blogger couldn't handle it. 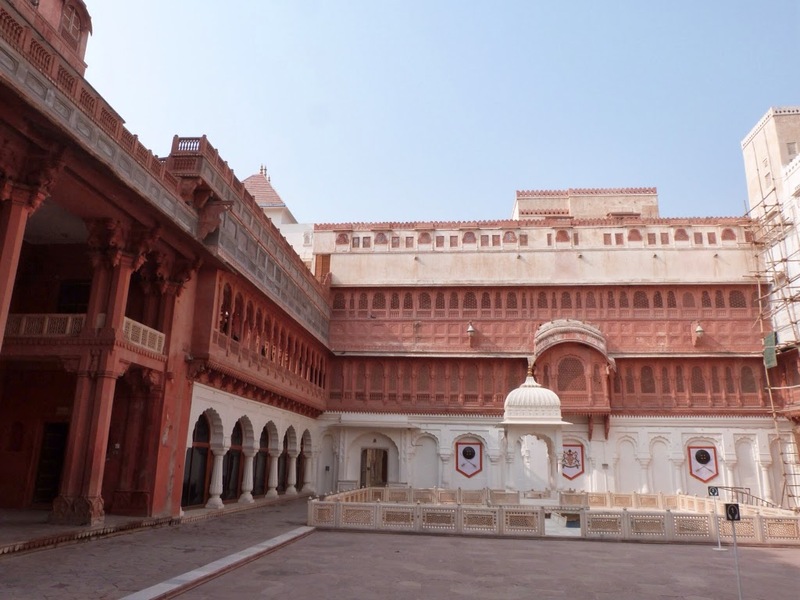 First of all it is worth mentioning the pretty impressive fort that stands at the heart of Bikaner. 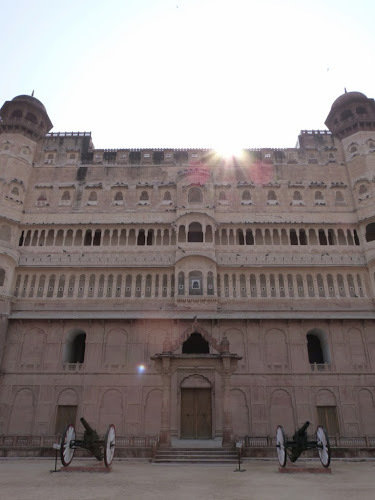 Whilst it doesn't have the instant wow factor of some of the greater more famous strongholds of Rajasthan the Bikaner fort is certainly damn impressive. Full of different courtyards, corridors and grand halls built throughout various eras of rule, in terms of how much of the fort you can actually explore you certainly got a feel for the scale of proceedings in a keep as big as this in the centre of a city. 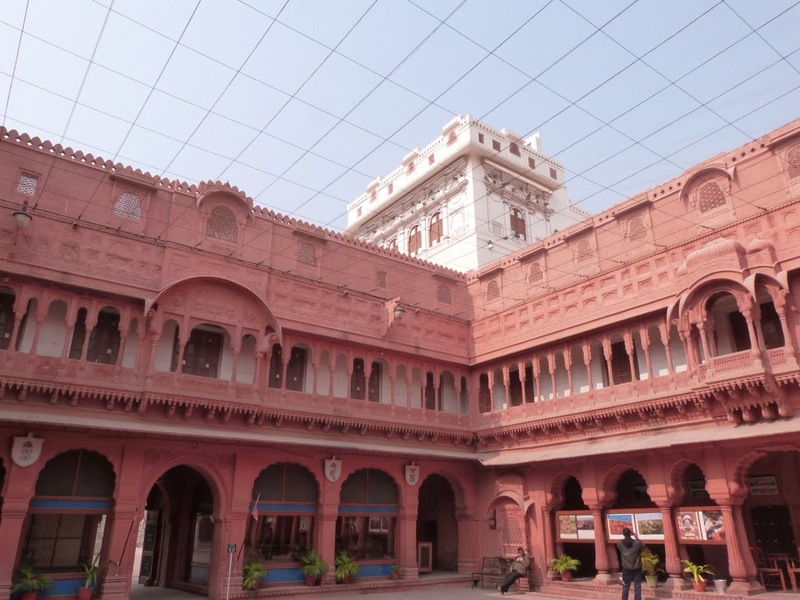 Whilst a tour is included in the price of the ticket, the tour group we were pushed together with was a huge group of Indian tourists, who were as always far more interested in taking photos of us than the architecture. 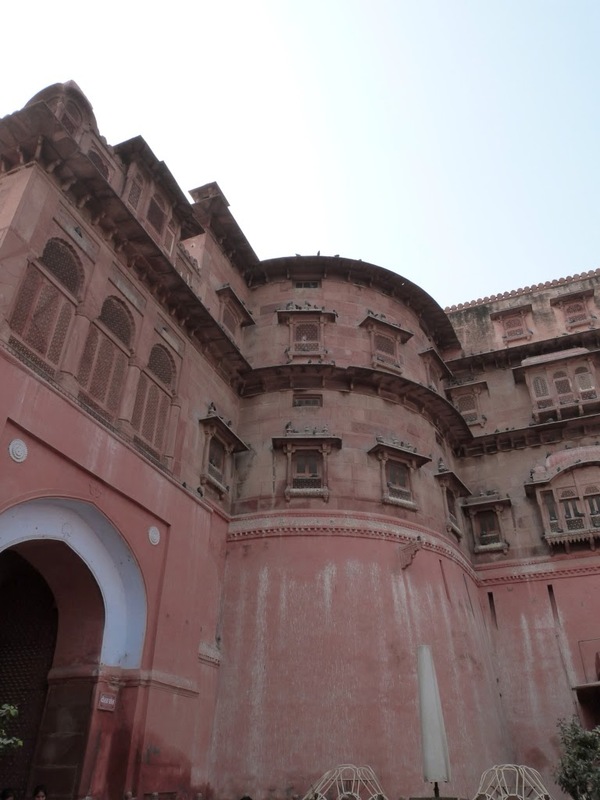 The guide did make an effort to talk to Olly and Olly only, shouting my name telling me what was what, if I was the maharaja in this guides eyes Josie was the tavern wench. 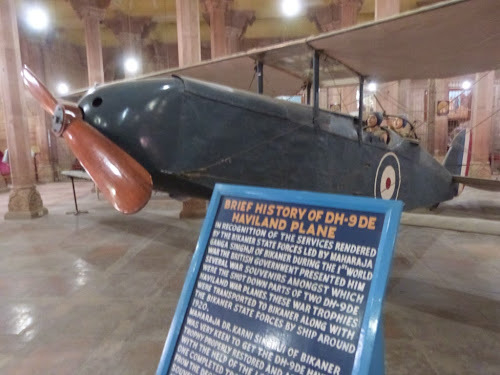 Even so the great halls including a WW1 biplane donated by the British to the then Maharaja !?!? 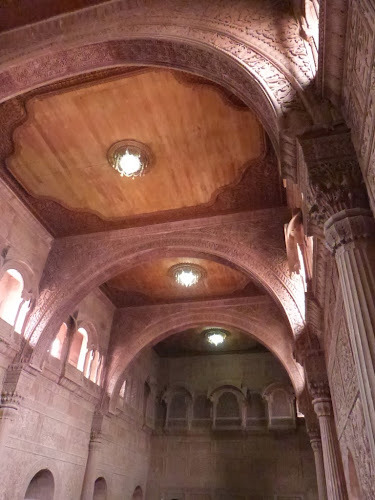 And one clad head to toe in amazingly decorative walnut wood carvings made the lengthy tour well worth it. We were also offered by the owners of our guesthouse to take a tour of the famous sites in the vicinity of Bikaner including the Camel research farm and none other than the 'rat temple'. We headed off in our Tata Indica along with our new Canadian friend Laura and braced ourselves for rats. Lots and lots of rats. The camel farm was actually really interesting, learning about all the different ways that camels are a central part of life in the region, camel carts > bullock carts! 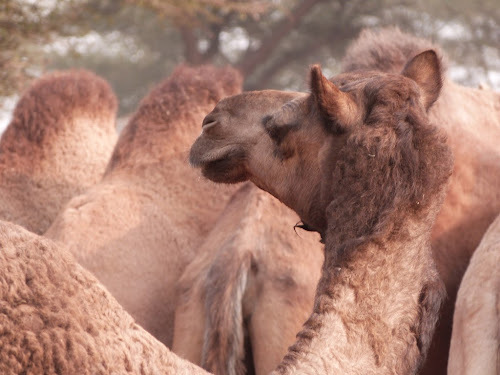 camel school buses were also once popular. 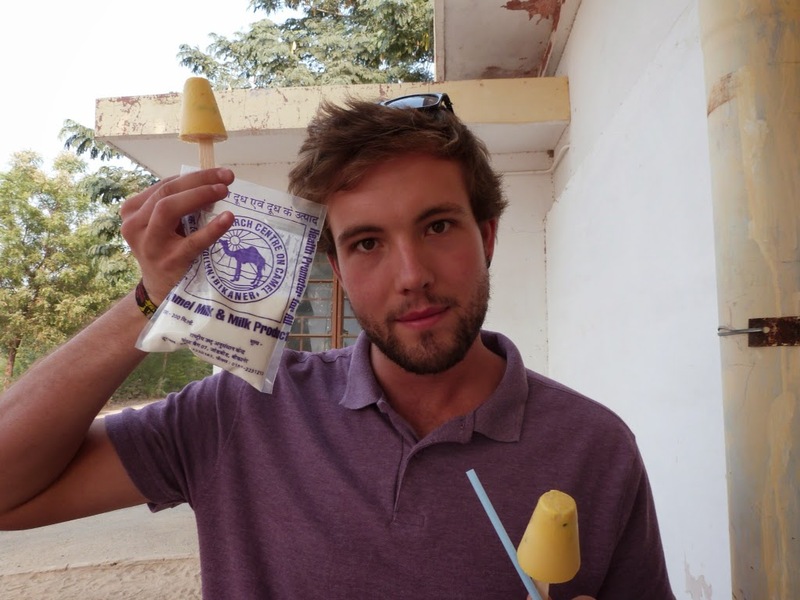 We sampled camel milk and camel milk kulfi ice cream, both of which were surprisingly tasty. 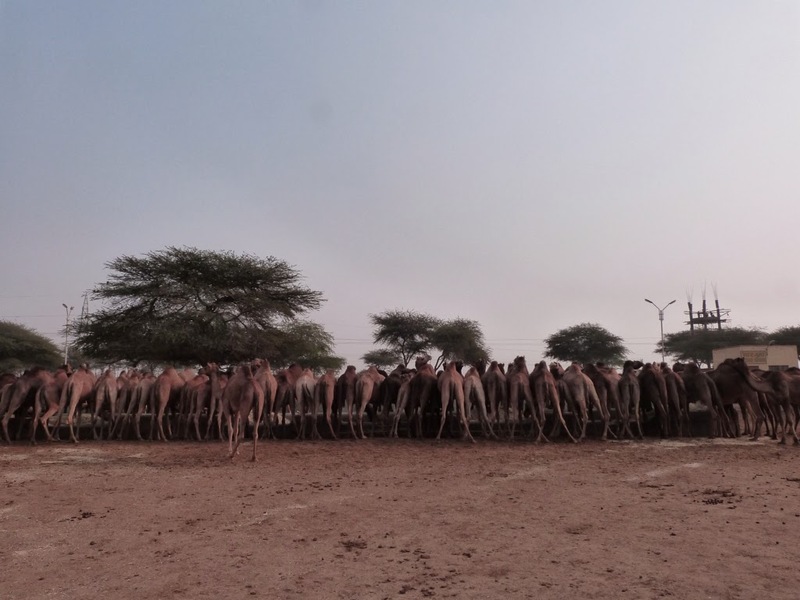 The 200 or so camels that reside at the farm/ research centre were also conveniently being lead to their feeding whilst we were there! The research being conducted at the centre did actually look quite interesting and valuable in terms of how camels can still be an important part of 21st century Rajasthan. 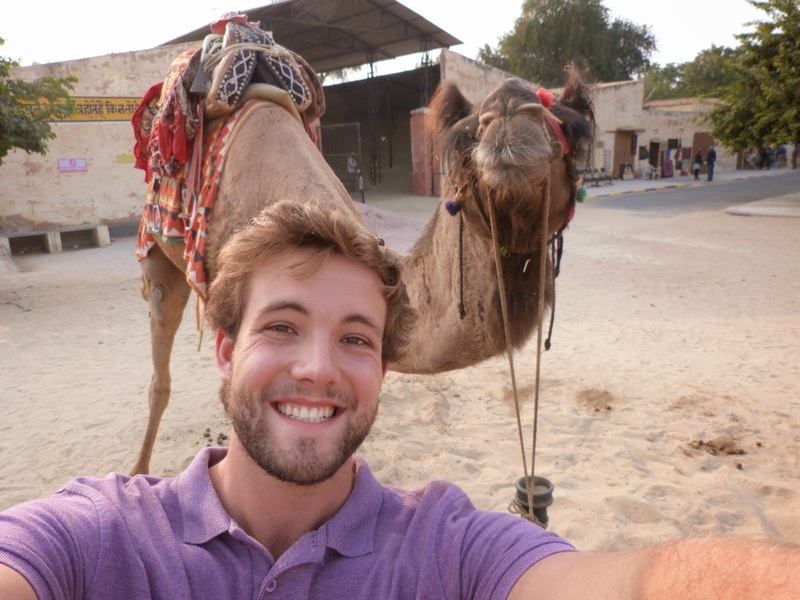 Camel drawn school bus anyone. 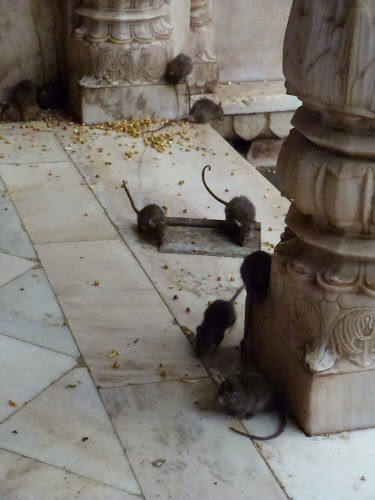 Then, the rat temple. 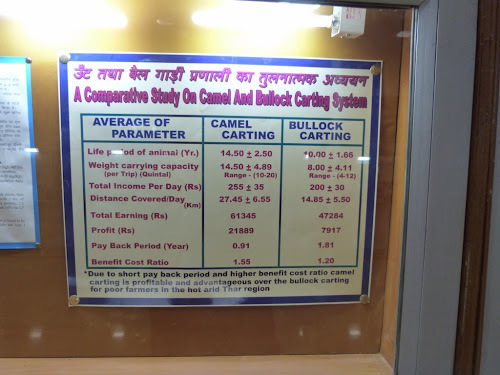 Karni Mata! 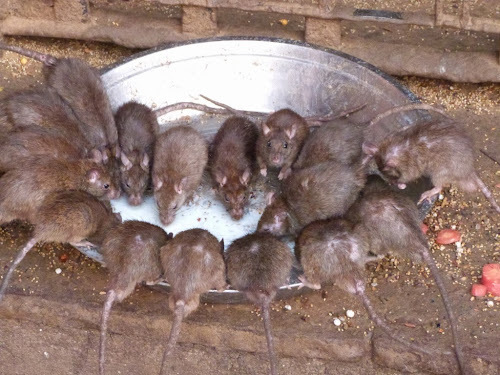 One of those impossibly weird experiences where hundreds of people come and make puja in the presence of a huge population of rats and rat droppings. 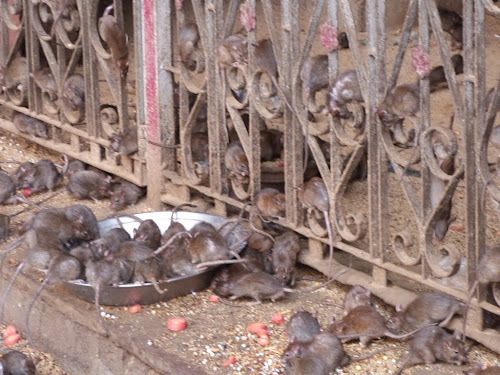 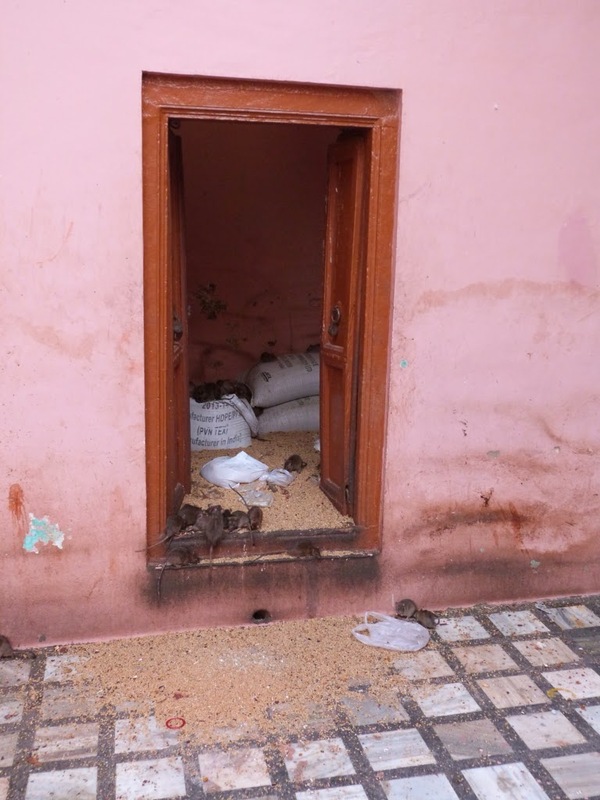 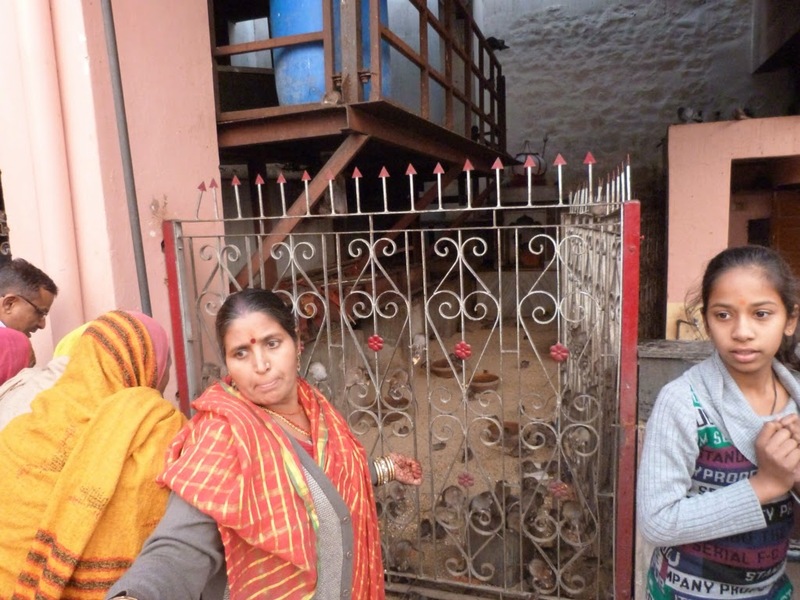 The rats are believed to be the reincarnations of the souls of the deceased and as such the temple is really significant to Hindus across India. Olly, stupidly or boldly, chose to explore bare foot with the Indians whilst Josie and Laura took advantage of the sock covers. 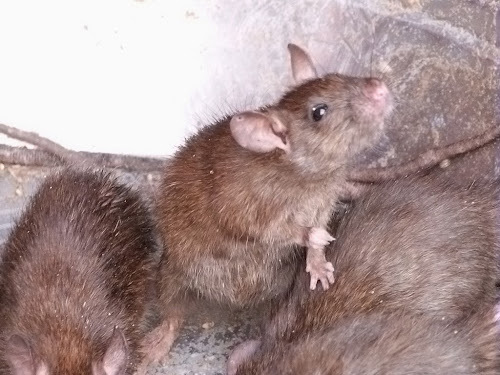 We were also lucky enough to lay eyes on the supremely lucky and rarely spotted white rat. The reaction of the temple faithful was nothing short of ecstatic, everyone wanting to tell us how important and lucky we were to spot the reincarnation.